Hello everyone, today we have a different kind of post. Recently i came across this website and i just had to introduce it to you guys, it's called www.anjolee.com it's a high end online jewelry store and what i love about it is you have the chance to customize the jewelry design of your preference and by customize i mean select the metal, gemstone and the size you want, you can even get your diamonds on. They have a very wide collection of earrings, necklaces, bracelets and wedding & anniversary rings. If you're going for the perfect fancy gift (talking to my male pals here) then this would be the best option for you, you can get the best gift with your exact preferences, taste and of course budget. They say ''diamonds are girls best friend'' it doesn't apply to all of us girls of course but i'm sure non of us will complain by receiving one of this gorgeousness. If your lady is a high quality jewelry junkie, you have a world of options to make her day with a nice glamorous detail from Anjolee. When i saw the wedding and anniversary rings section, i was about to go crazy, i'm not a big fan of rings but when i saw all the amazingness and beautifulness they have my inner jewelry lover fan girl showed up, even if i'm not getting engaged or something related i just felt like getting a bunch of them. The pictures of the pieces are breathtaking will definitely make you to start your own high end jewelry collection at home. Here i show you some of the rings and earrings i loved as soon as i saw them, i adore how sophisticated, how simple and glamourous they look, you'd be surprise by the statement you'd make with one of them on. If you're not a ring kind of gal don't you worry, the necklaces are the bomb as well, specially the ''Red Carpet Diamond Necklaces'' (sounds so fancy huh?) we're talking about real diamonds here so please don't have a panic attack when you get to see the prices, remember the great thing about the store is being able to customize the design the way you want it. Remember high end jewelry is an investment not a waste. For those who would like to get some high quality jewelry but were afraid of prices, or didn't know how to get them or where to get them i recommend to check this jewelry online boutique asap. Take a look to their Wedding Set . 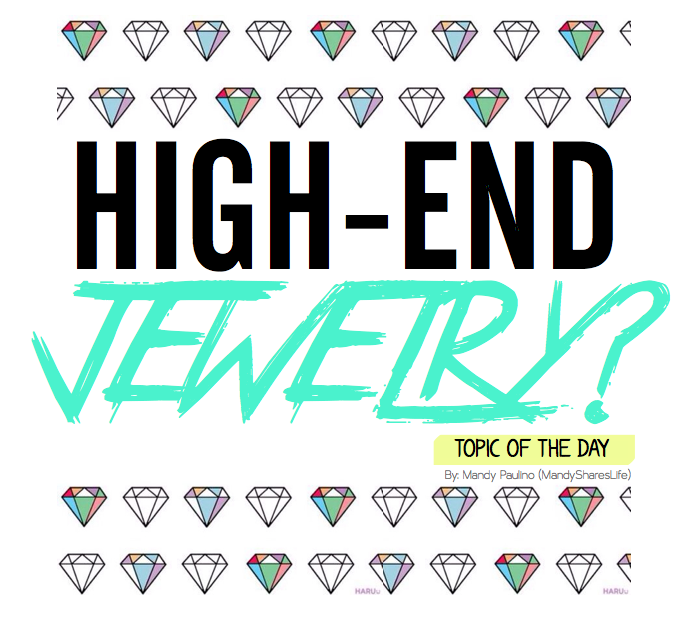 What do you think about high end jewelry? Do you own some? Would you get some? Share your experiences with me on the comments. It sounds amazing. I love the idea of customizing jewellery! All women are crazy for jewelry, gold rings are always a best gift for their. The precious gold rings are made with the precious stone like diamonds, pearl and emerald etc. Men and women both are like the gold rings and one can find the vast collection of these types of rings in online jewelry shopping store. I just nominated you for the Very Inspiring Blogger Award tag on my blog. I hope you have a go! Thank youu, i'll check that out! I'm obsessed with the rings in the pictures!! I totally get the way you feel!! Ahaha, that's a great idea, i'll probably do the same Ha'. those jewelry choices are so fab! wanna follow each other via GFC and instagram? via that way we can keep in touch, just let me know on my blog dear. To delve deeply into High end jewelry is an exciting adventure. Many an afternoon has been enjoyed by a family, bonding over the discussion of High end jewelry. Cited by many as the single most important influence on postmodern micro eco compartmentalize, it is impossible to overestimate its impact on modern thought. Crossing many cultural barriers it still draws remarks such as 'I wouldn't touch it with a barge pole' and 'i'd rather eat wasps' from so called 'babies', whom I can say no more about due to legal restrictions. Relax, sit back and gasp as I display the rich tapestries of High end jewelry.